We cannot believe that we are saying this as it feels like Halloween was only yesterday but, the countdown to Christmas has officially begun! Is anyone else as excited as us for the start of the festive season? Open fires, hot chocolate and Christmas shopping, especially for those upcoming Christmas parties! 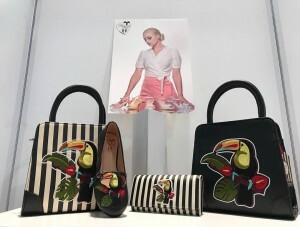 We have a fantastic selection of Banned Apparel retailers worldwide who have the perfect party pieces; wherever in the world you may be, whatever the weather and whether you are looking for something vintage inspired or a little darker. Dance the night away in our court shoes. Available from Top Vintage Boutique. Add a touch of tropical to your Christmas festivities. Check with your local Banned Apparel retailer for availability. Kitty van Creep steps out with her Banned Apparel handbag. 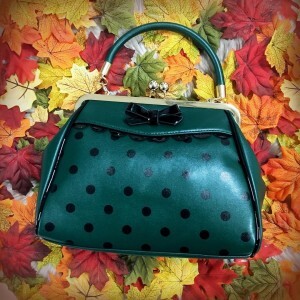 Our new season polka dot handbag. Now available from Top Vintage boutique and also available in red. The festive holiday season during the 1950’s was a glamorous affair! Beautiful dresses and shoes and perfectly styled hair. It was important that the lady of the house was well presented at all times, for her husband and guests. 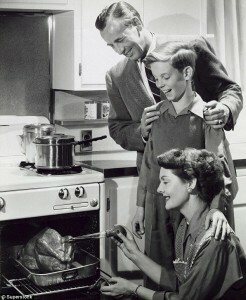 This perfectly groomed mother and wife preparing Christmas dinner. 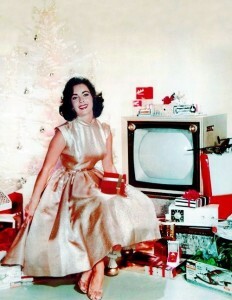 Elizabeth Taylor is a vintage vision in this 1950’s Christmas photo shoot. You can recreate Elizabeth’s vintage style with our Banned Apparel selection of dresses, tops, skirts, petticoats, shoes and bags. Our retailers are available worldwide and online and you can find your local Banned Apparel stockist through your search engine. You can also get further vintage inspiration by joining us on our social channels over on Facebook, Instagram and Twitter. If you have any photos of your latest Banned Apparel purchases please tag us!